(Another Young Living home run and must have for your beauty routine). It’s one of the most important steps and probably the most overlooked. Use a toner right after cleansing, morning and night. Transfer the toner to a spray bottle (pry out the stopper). At night spritz a cotton pad with toner to have a deeper cleansing after removing makeup and using Orange Blossom Facial Wash or ART Gentle Cleanser. In the morning just spritz toner right on your face after cleansing. A toner is the foundation of your skincare routine. 1. Restore your skin’s pH balance. Environmental factors, stress and even water can cause alter your skin's pH. Washing face even with a good chemical free cleanser changes the skin’s pH. The right pH of the skin is 5.5, slightly acidic. When the pH of your skin is off, it may be dry and sensitive, be more acne prone and prematurely age. 3. Hydrate, soothe and nourish your skin. Soothes and conditions our skin. Essential oils provide antioxidants and promote skin health. These essential oils are calming, soothing and moisturizing. WOW!! Royal Hawaiian Sandalwood™ creates a complexion that glows! It can help reduce the appearance of blemishes. You’ll experience brighter, more youthful-appearing skin. Promotes the appearance of smooth skin. Extremely moisturizing and nourishing to the skin. Cleanse * Tone * Moisturize - twice daily! 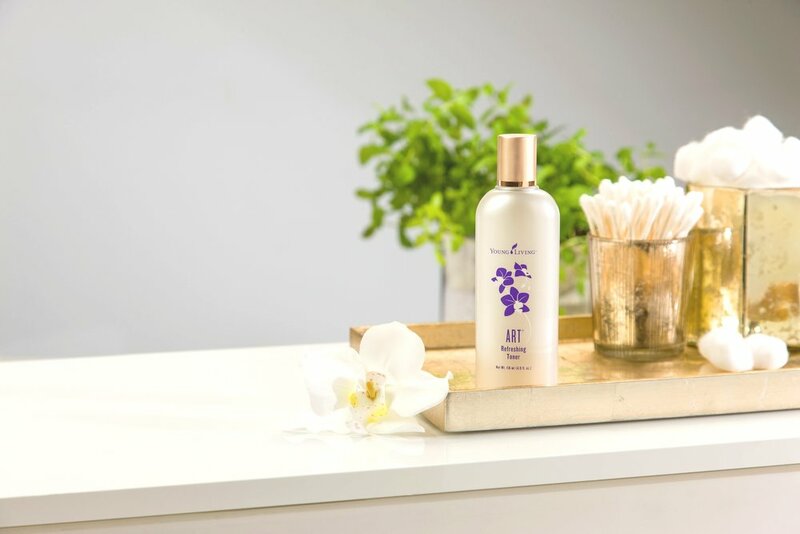 Young Living ART Refreshing Toner is well-formulated, and the alcohol will help provide a refreshing feeling but it also helps the ingredients penetrate our skin. Occasionally Toner will go out of stock, so I have two bottles on hand at all times!